Apricot Oil (prunus armeniaca) is rich in the essential oleic and linolenic fatty acids and is known for its ability to penetrate the skin without leaving an oily feel. It moisturizes and revitalizes dry or aged skin. 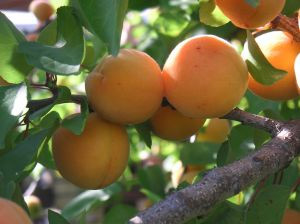 Apricot kernel oil is cold-pressed from the dried seeds of the fruit of the apricot tree.